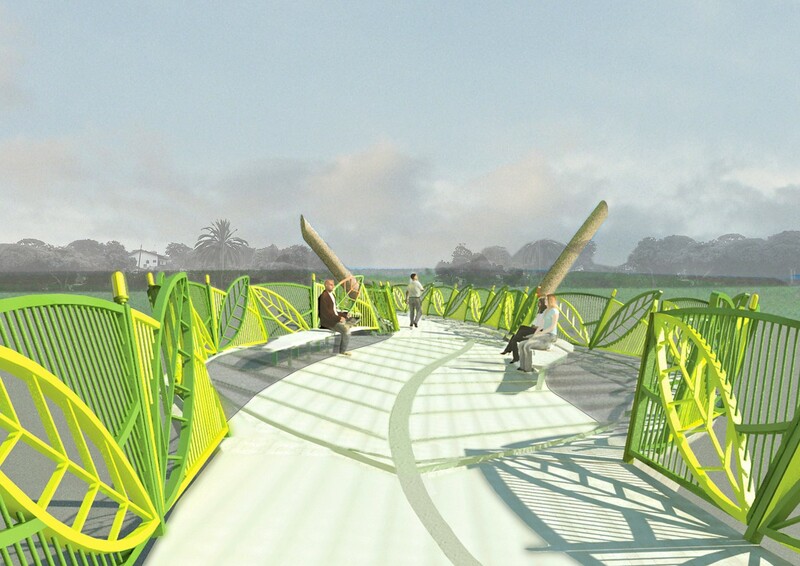 This pedestrian bridge design was commissioned as part of the restoration plan for La Ballona Creek running through the center of Culver City, California. It was needed to replace an out-of-date existing structure connecting residential neighborhoods and schools on opposite banks of the creek. 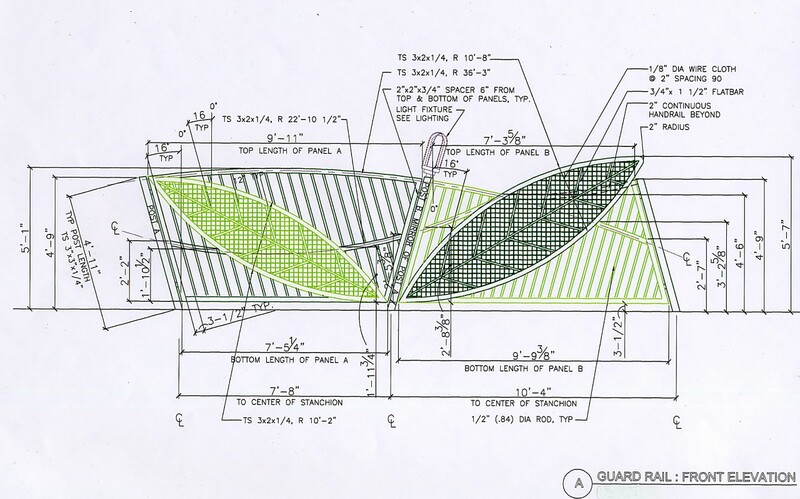 Ed Carpenter’s design team included structural and lighting consultant’s and a local landscape architect. 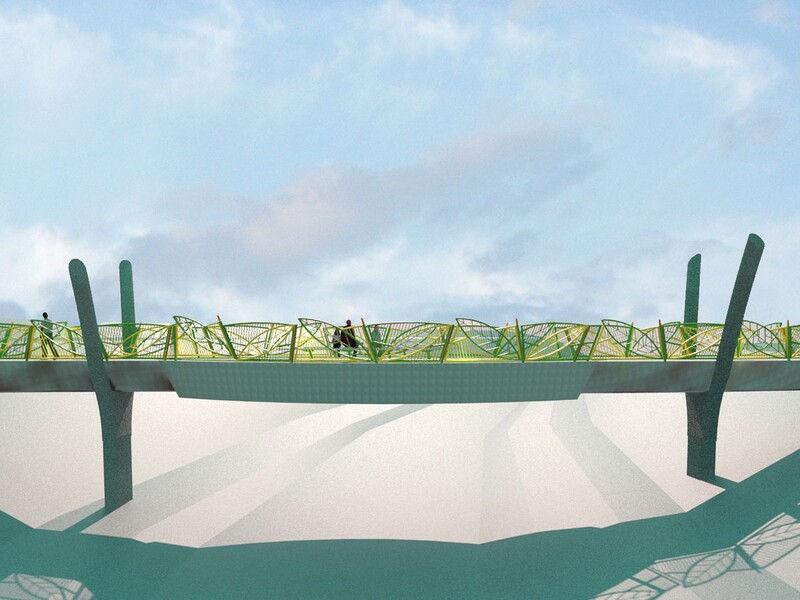 After more than a year of working closely with local officials and citizens groups, a three span cast-in-place concrete bridge was selected from three alternatives. 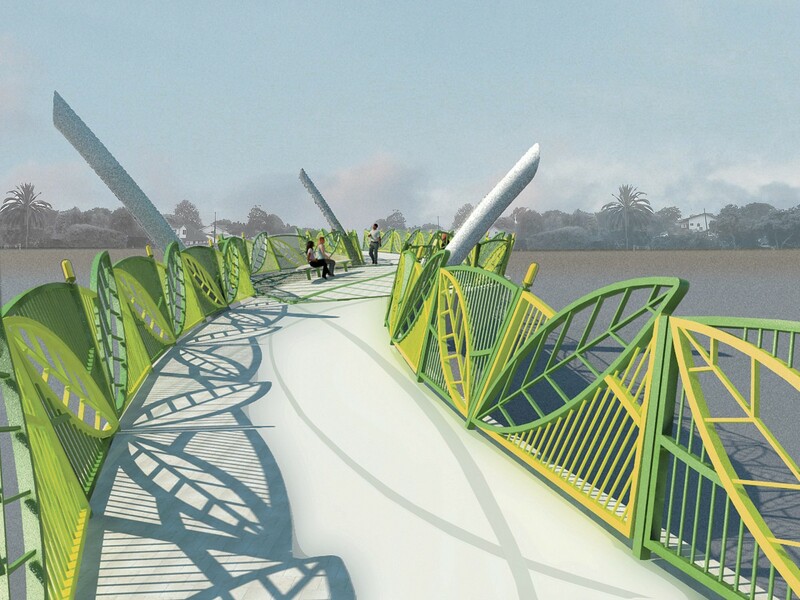 Primary elements of the preferred scheme included a curving deck and a wider center span with seating at the edges and open grating in the form of a leaf supported on cantilevered steel structure. 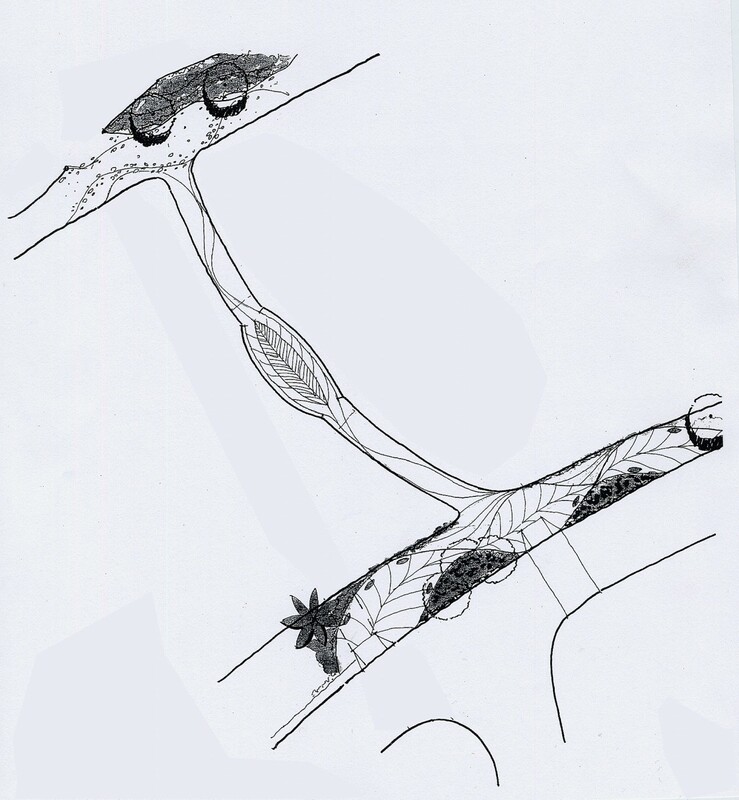 Its leaf imagery was derived from species that line the banks of the meandering creek bed. 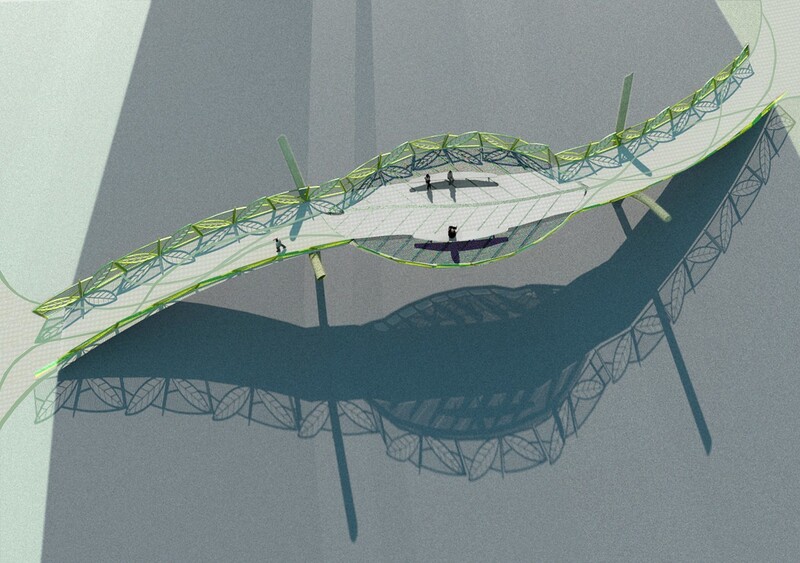 Unbuilt due to lack of funding.